Millions of Americans read, watched, or heard about the horror that unfolded at Fort Lauderdale-Hollywood International Airport on January 6, 2017. Esteban Santiago stands accused of shooting nearly a dozen airport travelers, killing five and injuring six, before surrendering to authorities, according to a Miami Herald report. The trial, which will proceed in federal court, will not place too much focus on guilt in the case because of the surrender. The crux of the court proceeding will center on premeditation, which federal prosecutors must prove in order to support capital punishment. Santiago will be arraigned on January 23, at which point authorities may notify the federal grand jury of their decision to seek the death penalty in the case. Here’s how capital punishment works in federal cases. Many others that are defined by statute. The decision of whether to seek the death penalty in a federal capital crime belongs to the US Attorney General, which is a departure from other states where local prosecutors make the determination. 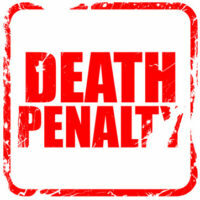 If officials request the capital punishment, the decision on whether to sentence a person to death goes to the jury. The jury’s finding must be unanimous in order for the death penalty to apply. If the members do not agree unanimously, life imprisonment is the automatically sentence. When a jury does vote in favor of the death sentence in a federal case, the presiding judge does not have discretion to reject the sentence. If a person sentenced to death under federal law wishes to appeal the case, he or she must file the appeal within the federal court system. This is another area where federal law is different from state law. When a death row inmate seeks an appeal from a state case, the person may appeal to a state or federal court, giving them more options under the law. While your case may not be as high profile as the one involving the Fort Lauderdale airport shooter, all federal crimes are immensely serious matters – especially those that involve capital punishment. You need a dedicated attorney with extensive experience in defending federal criminal cases, and has comprehensive knowledge of the law and court procedural rules. Attorney Kevin J. Kulik has worked with many clients facing various types of federal charges, and will fight to protect your rights. Please contact our Fort Lauderdale office today to schedule a consultation or discuss the details of your case.